We tried to stay away from pure supercars in this list as just about all of them will ensure you’re in positive territory with the girls. There were a few exceptions that we couldn’t exclude just because of how ominously capable they are, call them something to aspire to when you can afford them. Possibly the most gorgeous shape ever to find its way onto a car, the one pictured here is the V12. The added front vents only made the Vantage look even more attractive. This one has to be on the list, what woman wouldn’t want a man who drives a car from the same stable as James Bond? Not one of Alfa’s sportiest cars but works aesthetically with sleek lines that Bertone and Alfa Romeo can only combine. Still turns heads today, five years down the line since its inception. You always expect the a supermodel to appear in stilettos whenever the passenger door on the GT opens. Not too hard to figure out how this gets on the list, most supercars are automatically chick magnets but this seems to be the one that gets the blood circulating when it pops up in conversation. With the added V10 it also packs the punch to go with the looks, or you can drop the top on the Spyder and take your hair for a spin. You can’t actually buy this one here but when we talk about mean bakkies, the Hilux is the daddy in SA. If you live in the bush or happen to be a farmer heading to the local tavern then there is no better way to pull a poppie then to rock up in a double cab bakkie. Nothing says i’m important and I don’t settle for inferior luxury like a Range Rover. Road presence like no other SUV and the posterity of the snobby British to back you up, you shouldn’t have much problem with the ladies. It may not be a good thing but it seems to be a favourite with English Premier League footballers as well, and they don’t do too badly for women. Expensive yes but it has the looks to melt any woman’s heart. The Gran Turismo keeps getting better the more times you look at it and what better way to make an entrance than by walking up to a trident clad car? It’s like admitting to being a slightly shifty character who may or may not have ties to the mafia but we all know how much girls love the bad boy. It stands out in a crowd, which makes a change for VW and all the married and childrened people bought Golfs so the ladies instantly notice your style and sensibility in buying Volkswagen. Two traits I’m told on good authority woman look for in men. The best looking premium coupe out there. 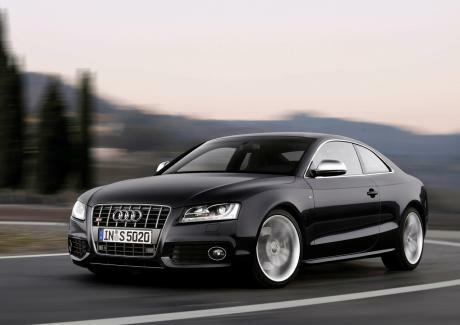 The major brands will always get more publicity when they produce good looking cars and that is why Audi has become so popular with the females, they like the glittery lights at the front too. I’ve also been informed that the interior smell of an Audi has certain alluring elements to it. Yeah okay, not anyone’s favourite car by a long shot but for some reason when this car jumps into the heads of females they think of boys in vests and driving on the beach during Matric vacation. A slightly older edition to this list, Mercedes to a woman means, established, well settled matured and responsible All the things they’re looking for in a guy, with the C coupe you can add a little more road presence to the already good situation you’ve got going.